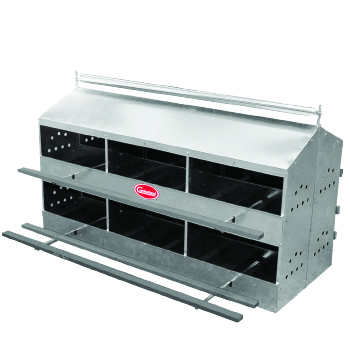 Finest galvanize steel, available in 8, 10, 12 and 24 compartments for attracting hen and ensuring best results. 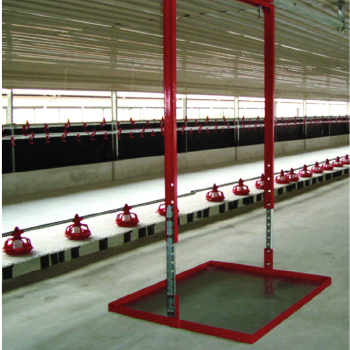 The most economical egg laying system in various sizes. Hemmed edges, which eliminate injuries to birds from sharp exposed areas. Ventilated nest partitions for good airflow. 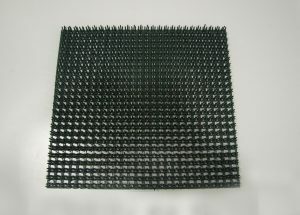 Plastic nest bottom resists rusting. Shipped knocked down with two complete nest per carton. 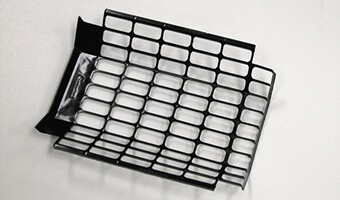 Cumberland now offer our new Overhead Track Egg Carrier. It is easy to install and especially minimized the welding activity at site. The roller bearing assembly had ensured this Egg Carrier travel smoothly along its track. The track is made of two Galvanized angles that bolted back to back to each other and tight to the bracket that had fixed to the designated building truss. The egg carrier’s table is adjustable between the range from 3-1/8ft (1181mm) to 5-1/8ft (1562mm) to allow the end user to adjust the height of the table that up to their comfortable level and able to support up to 180Kg.